Yep, its officially fall. Time for an apple recipe. Autumn is hands down my favorite season! I start daydreaming of fall in about August when I'm sweating bullets. It's starting to cool off (which means highs in the 90's in Arizona) so I got my bake on. 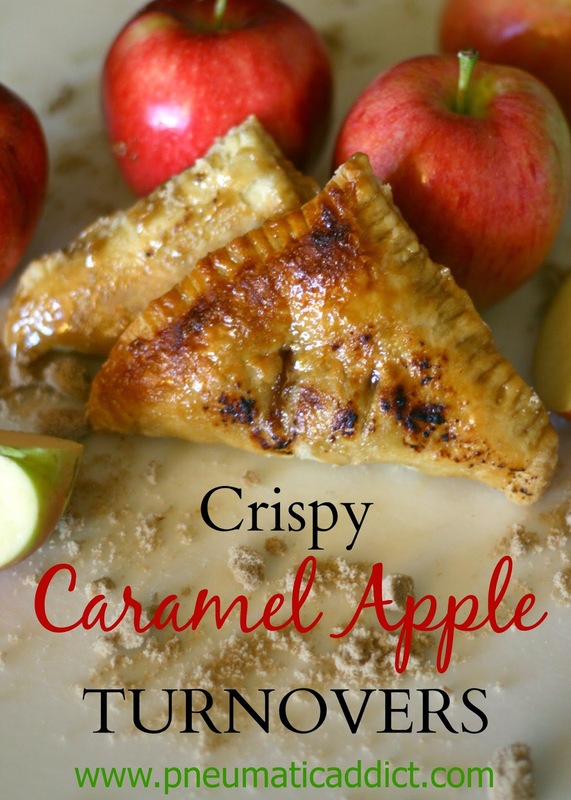 This recipe was inspired by my husband's love for Taco Bell's caramel apple empanadas, sad to say. Years ago, when he was single, he came up with his own version using Hostess apple pies- true story. In full disclosure, they're actually pretty good. BUT.... not exactly my "style". I decided to come up with an upgrade. Maybe not as easy as a Hostess pie, mine are still pretty simple to make and give you that yummy, autumn-y taste in a crispy, sweet shell. 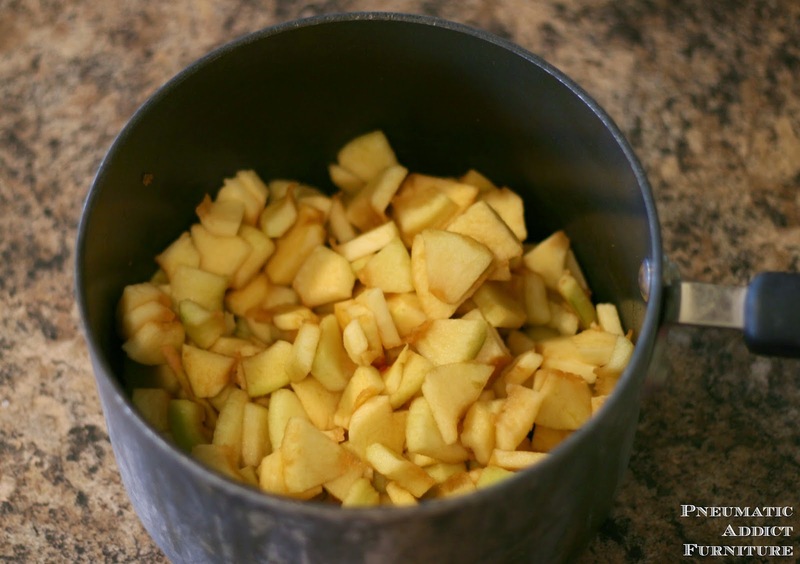 Start with diced apples. I like to use a couple types of apples to give a more complex flavor. This time I used Granny Smith and Fuji. 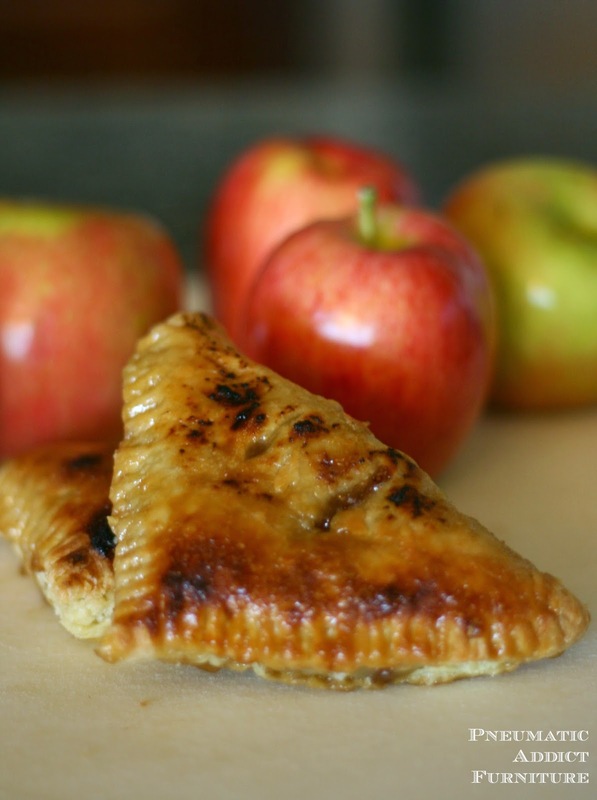 Once cooking down a bit on the stove and adding, brown sugar, butter, cornstarch, cinnamon and vanilla, you have a rich, caramel apple filling. The crust is so simple! 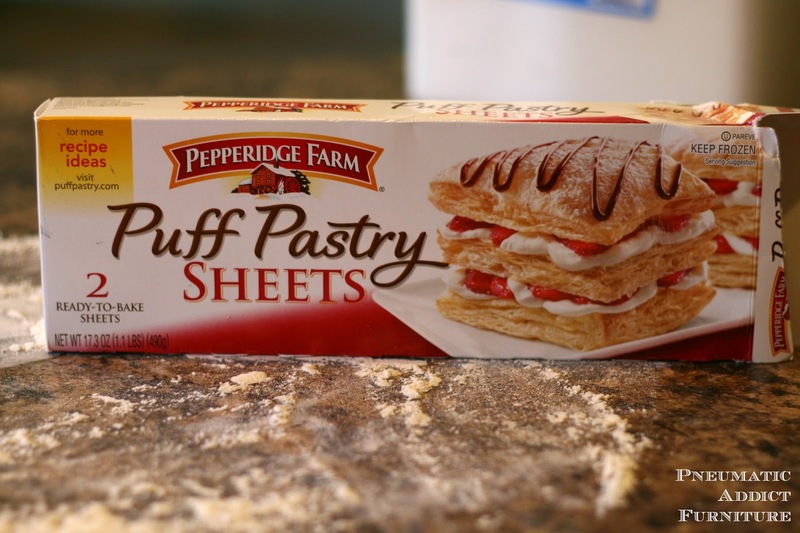 Head to the store and buy yourself a box of puff pastry sheets. They are super easy to use! It is sold in the frozen section, so allow to thaw on the counter for a few hours before you start to bake. 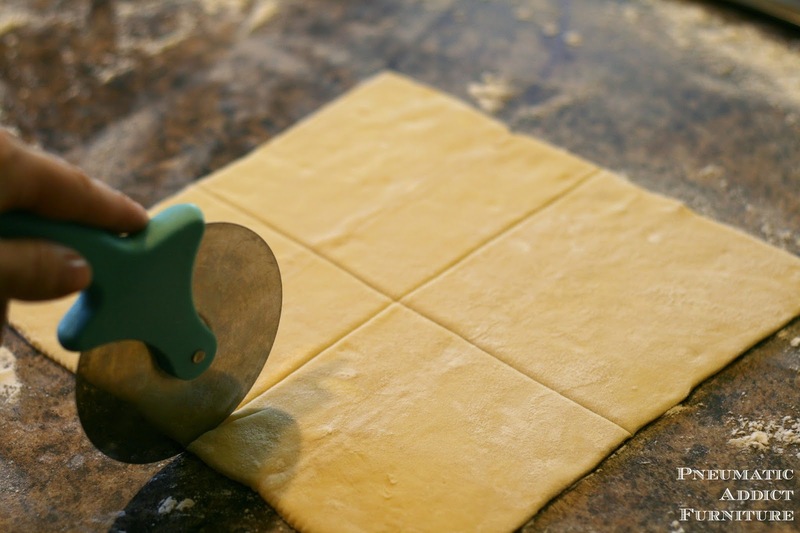 One thaw, unfold one sheet at a time on to a lightly floured surface and cut into quarters. 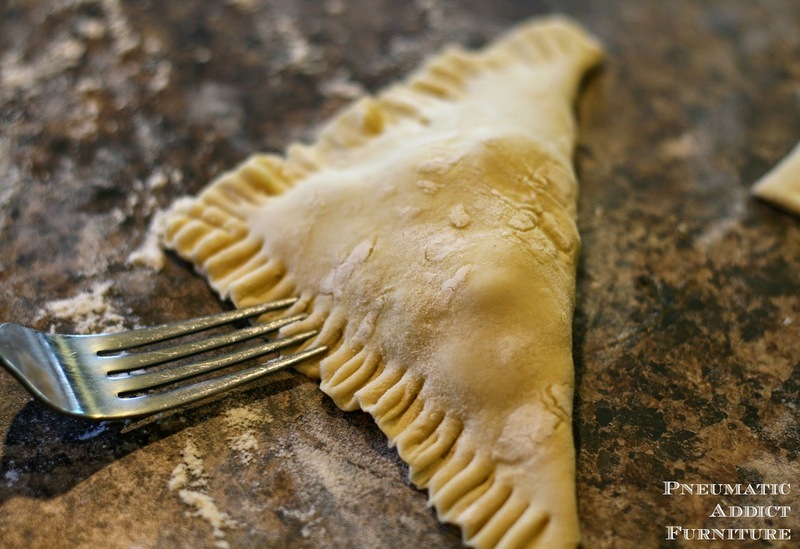 Spoon in your filling fold over and crimp the edges with a fork. To avoid blow-out, cut a couple of small slits on the top to allow for steam. Bake until lightly golden brown. 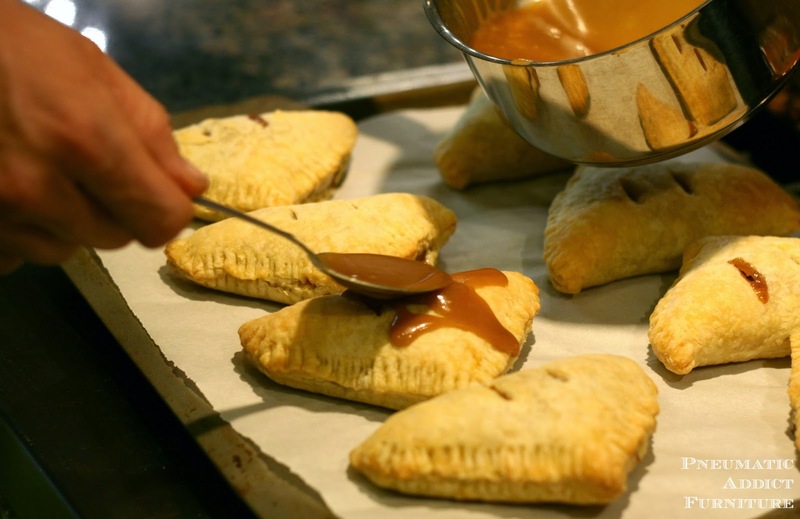 While turnovers are still hot, top with caramel glaze and stick under the broiler till golden and crispy (just don't try doing this at someone else's house who's broiler you are not familiar with- trust me). The end result has a crispy, sweet shell that gives perfect contrast to the flaky crust and gooey filling. Pretty fantastic. 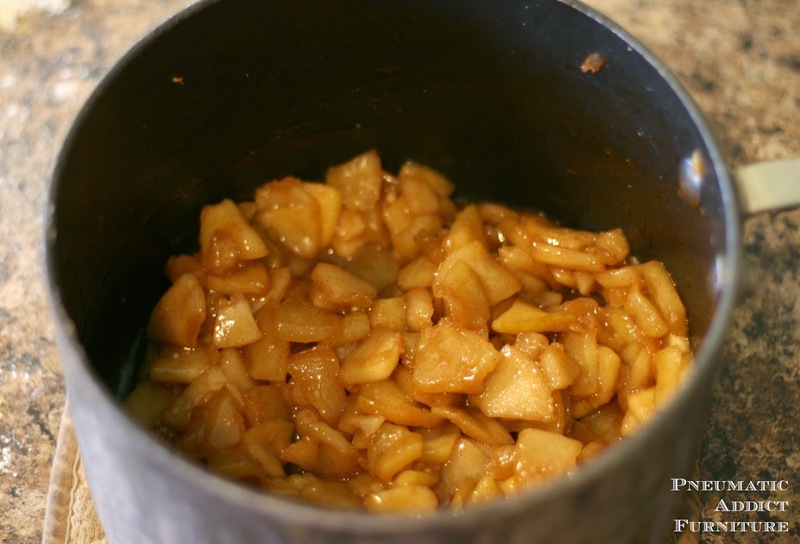 Place diced apples, sugars and cinnamon in saucepan. Cook on medium-high heat till softened, stirring occasionally. Add butter. Once melted stir in cornstarch and cook on medium heat till thickened. It shouldn't take long. Remove from heat. Stir it water, vanilla, and salt. Flatten out puff pastry on lightly floured surface. Cut each sheet into quarters. Fill each square with 1/8th of filling mixture, fold in half and crimp closed with fork. Cut 2 small slits on top of turnover. Place on parchment lined baking sheet and bake at 400 degrees for 15-18 minutes or until lightly golden brown. For glaze: In saucepan, melt butter and add brown sugar and honey. Once dissolved, remove from heat and add vanilla. 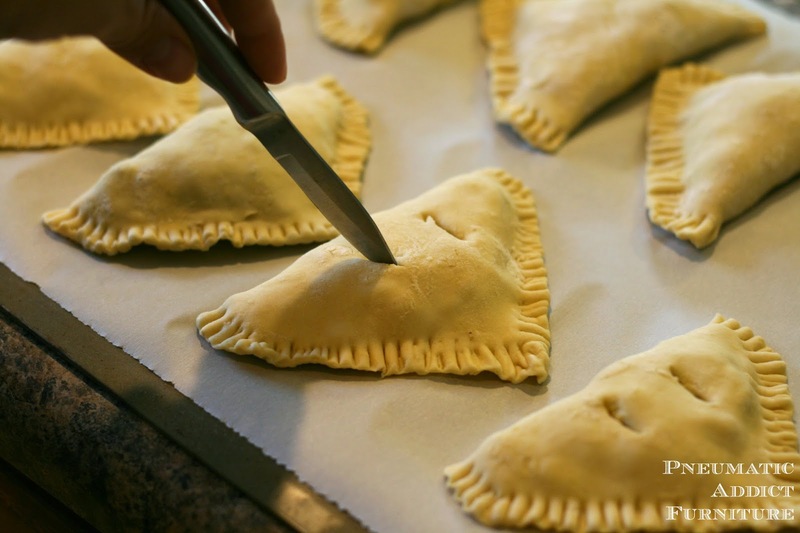 Pour glaze over hot turnovers and place in oven on "low broil". Watch closely! Broil till golden brown and bubbly. Allow to cool for as long as you can stand and enjoy! Looks great! When I taught middle school I use to make these with the kids but we used Cresent rolls!